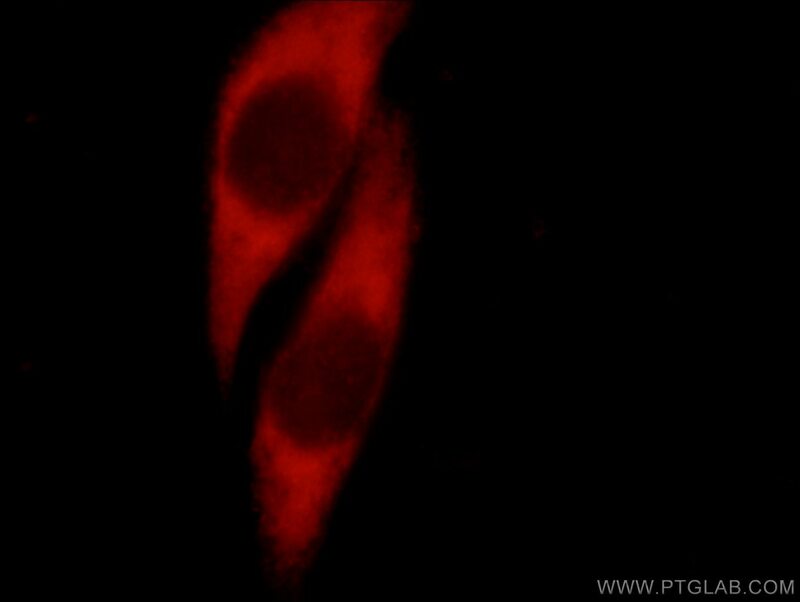 Immunofluorescent analysis of Hela cells, using JTV1 antibody 10424-1-AP at 1:25 dilution and Rhodamine-labeled goat anti-rabbit IgG (red). 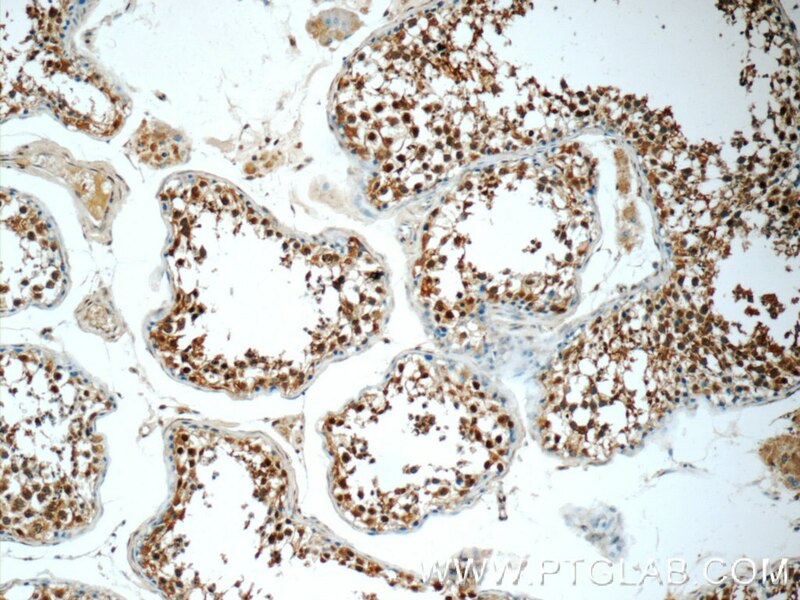 IP Result of anti-JTV1 (IP:10424-1-AP, 3ug; Detection:10424-1-AP 1:1000) with HeLa cells lysate 800ug. 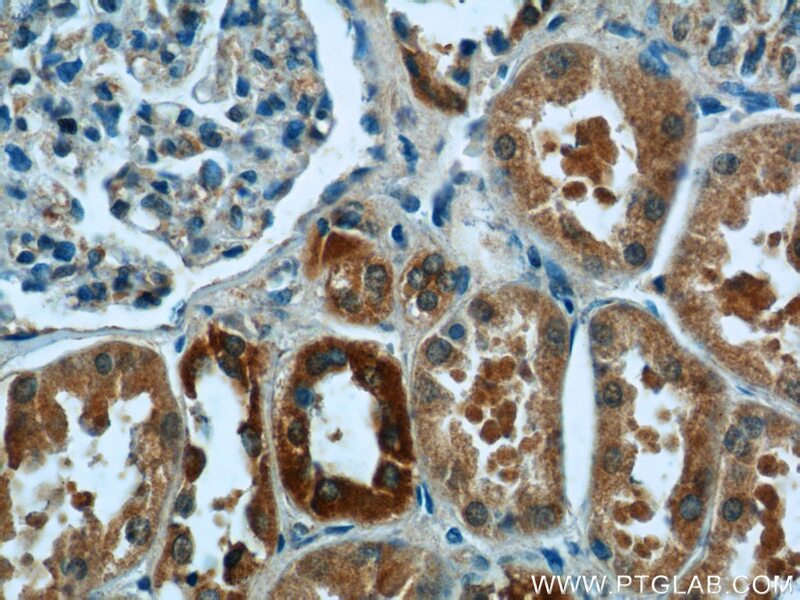 JTV1, also named p38, AIMP2, was first knew as a factor associated with macromolecular protein complex, which consists several different aminoacyl-tRNA synthetases. JTV1 is a scaffold protein required for the assembly and stability of the multi-tRNA synthetase complex. 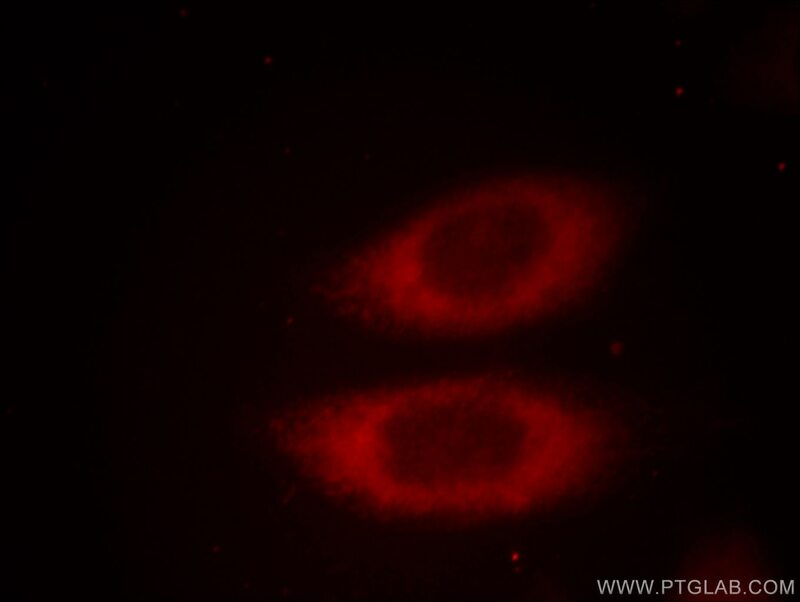 JTV1 could act as a mediator of TGF-beta signaling and its functional importance in the control of MYC during lung differentiation. Blocks MDM2-mediated ubiquitination and degradation of p53/TP53. 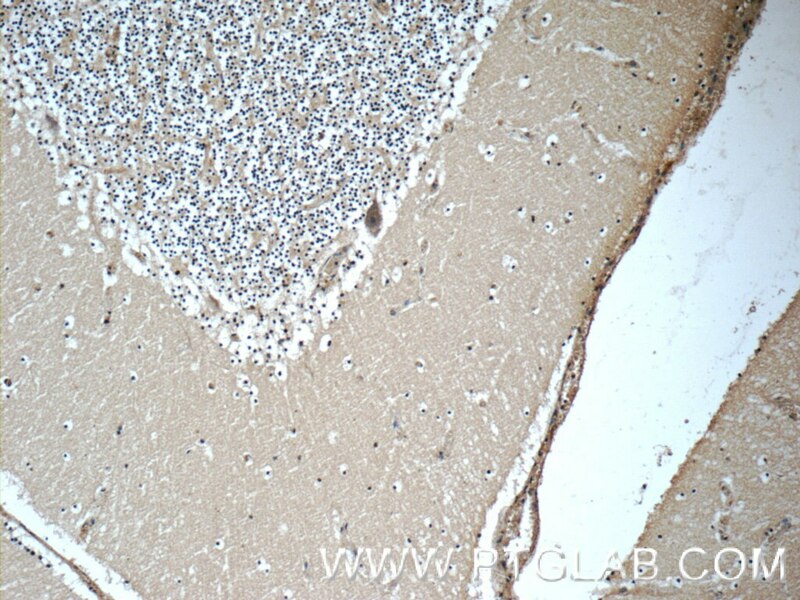 Functions as a proapoptotic factor. 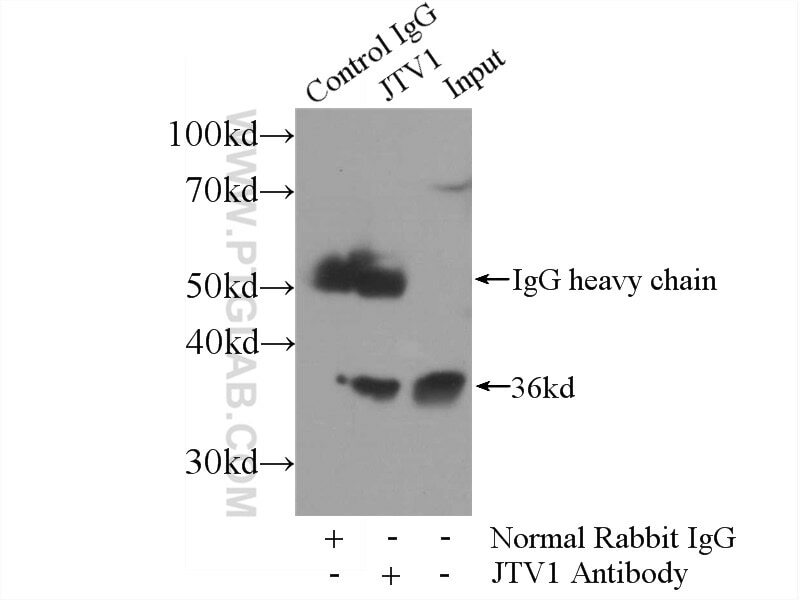 This is a rabbit polyclonal antibody raised against full-length of JTV1. Critical role of PINK1 in regulating Parkin protein levels in vivo. Molecular determinants of selective clearance of protein inclusions by autophagy. Role for the obesity-related FTO gene in the cellular sensing of amino acids. 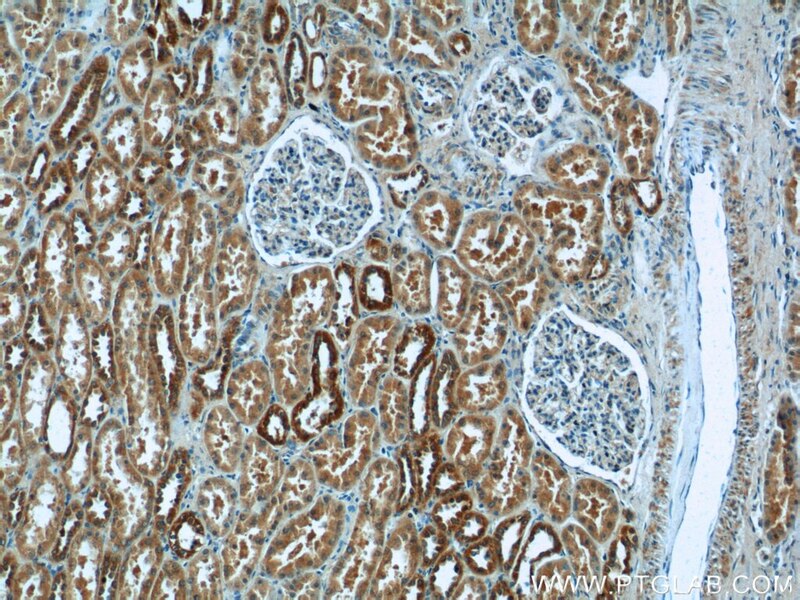 Prostaglandin E2 promotes liver cancer cell growth by the upregulation of FUSE-binding protein 1 expression. 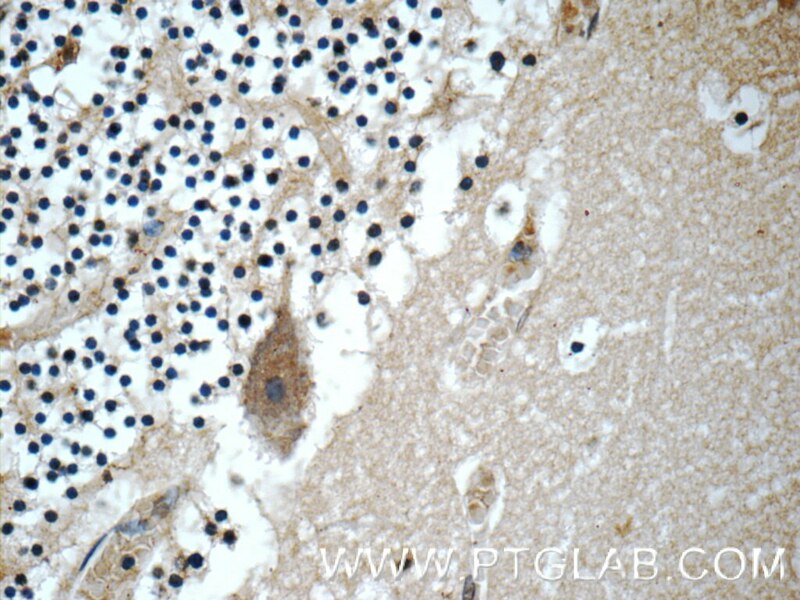 Parthanatos mediates AIMP2-activated age-dependent dopaminergic neuronal loss. Phosphorylation by the c-Abl protein tyrosine kinase inhibits parkin's ubiquitination and protective function. 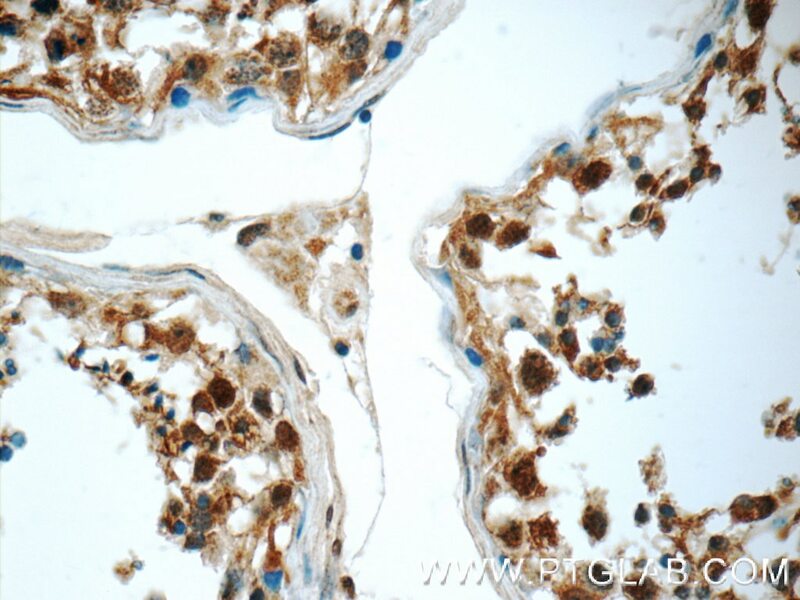 Immunofluorescent analysis of HepG2 cells, using JTV1 antibody 10424-1-AP at 1:50 dilution and Rhodamine-labeled goat anti-rabbit IgG (red).